Dandelion Tea for Fluid Retention, Blood Pressure, Blood Sugar, and More! Springtime now means dandelion tea. It’s springtime for all intents and purposes here in California. We’re recovering from winter around here, trying to get some fresh air and exercise as our bodies adjust to the beginning of the pollen onslaught. A friend asked me about fluid retention — she’s retaining a lot of water right now and she’s trying to figure out why. I gently formed a fist with my hands, noting a little extra fluid retention myself. You may know that feeling when your hands feel a bit like sausages. What to do? I knew that dandelion tea is a natural diuretic — you will gently expel some of that extra fluid thanks to the brew. I asked my herbalist friend Carol Little at Studio Botanica which part of the dandelion would be best to harvest and she recommended the whole plant — flowers, leaves, stems, and roots. It is all beneficial. My problem was that here in the Sequoia National Forest, I haven’t found any prolific stands of dandelions this early in the season, just a few small patches, perhaps enough for a pot of tea. 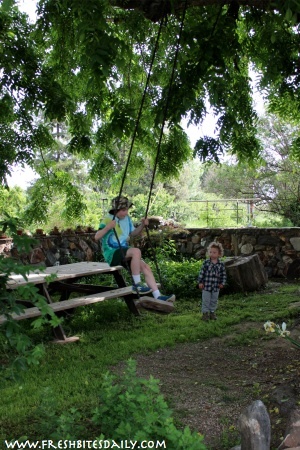 By chance, I took the kids the next day to a friend’s farm that was loaded with dandelions. My friend uses organic farming methods on this 80-acre farm and homestead and I was blown away at the size of all of the wild plants, including the dandelions. I had not even planned (shamelessly) to ask if I could pick any or I certainly would have had some large coolers in the car on that 85-degree day. I picked about two gallons of dandelion greens and flowers, as much as my small cooler could carry. I left behind about four million gallons of giant dandelions for my friend to use in her morning smoothies. It certainly was dandelion heaven. I made tea when I returned home and dried the rest of the bounty. My water retention was fairly minimal and so it is no surprise that after a strong cup of brew for the next couple of days that my clenched fist lost that “sausage” feeling. What are the benefits of dandelion tea? and more, according to James A. Duke in the Handbook of Medicinal Herbs. What are typical “dosages” of dandelion in tea? Duke offers typical “dosages” of dandelion in the beverage used in various studies and practices and the range is fairly broad: in one it is about 1/2 tablespoon per 3/4 cup water, in another about 4-10 grams of dry leaf three times a day — one tablespoon of dry leaf is about 2 grams, so this is a lot of dandelion. 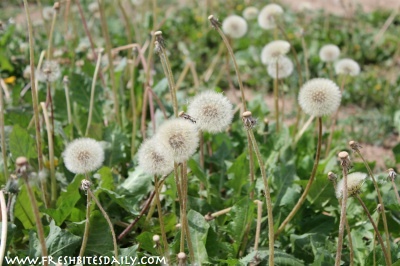 What is the main risk and side effect of dandelion? The dandelion is a diuretic and so if you have conditions or medications that would be affected by that property, you ought to work with a practitioner on your case. It may cause elevated lithium levels and gastric distress. If you have any related medical conditions, get with a practitioner with experience. If you are in good health and drink a few drinks to combat your sausage hands, your risk of side effects is fairly low. What does dandelion tea taste like? The tea itself does not have a terrible flavor. You probably won’t seek it out for the flavor but it is palatable on its own and it tastes just fine with a bit of honey, even when it is fairly strong. What I did was fill a small sauce pan about halfway with fresh leaves and flowers (I didn’t have a tool to dig the roots, but you may want to include those too) and then filled the pan with water, brought it to a boil, turned off the heat, and let it sit overnight. It is a fairly strong tea that pretty much took care of my problem over two days. Place about two cups of clean dandelion in a sauce pan. Cover with about four cups of water. Bring water to a boil. Cover and remove from heat. Allow the tea to infuse for three hours or overnight. Strain out the dandelion and reserve the liquid for your tea. Dilute the tea with water if the flavor is too strong. 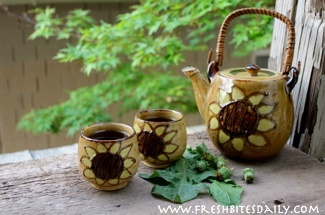 This healthy dandelion tea helps fight edema, high blood pressure, and diabetes. Wow! Dandelion tea for the win! Cover water and dandelions with a lid and allow to steep for 20 minutes. 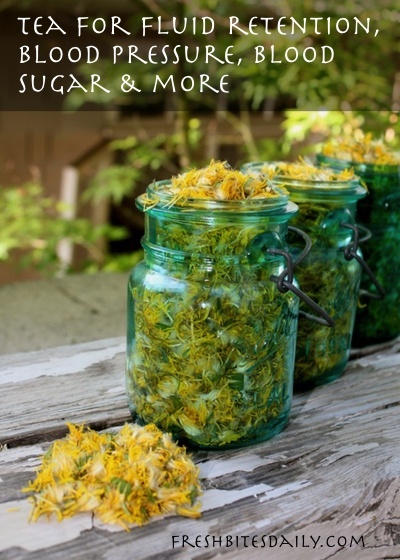 Dandelion Recipes: Turn these weedy flowers into culinary treasures! Best lip balm for dry lips from a common flower! Pickled dandelion. Ha! Yes, these are some very good pickles. 130+ Pounds Lost! 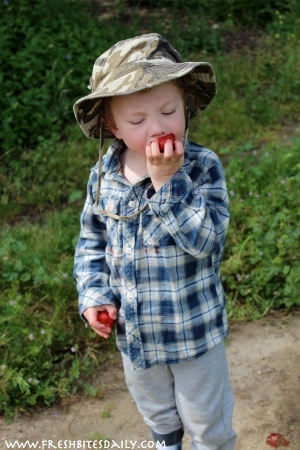 Join Our Group! FreshBitesDaily.com is a participant in the Amazon Services LLC Associates Program, an affiliate advertising program designed to provide a means for sites to earn advertising fees by advertising and linking FreshBitesDaily.com to Amazon.com.